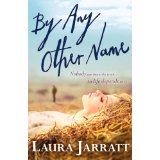 Laura was born in Salford in the 1970s and has lived all over the UK. As a child, she wanted to be a vet but wasn’t good enough at Maths. Although her favourite subject was English (followed by Classics and Modern Foreign Languages), she accidentally studied Science (Microbiology) at university. She finally settled in rural Cheshire, where she lives with her family and is owned by a daughter and a ginger cat with no tail. By day, she works in education because it’s never boring and by night, she writes for young adults because they’re the most interesting people in the world. Her favourite place in the world is the Peak District in Derbyshire. Her favourite books as a child were Dogsbody by Diana Wynne Jones, The Call of the Wild by Jack London, The Eagle of the Ninth by Rosemary Sutcliff and The Changeover by Margaret Mahy. Her first novel, Skin Deep, was shortlisted for the Waterstones Prize and the YA category of the Romantic Novelists Association. 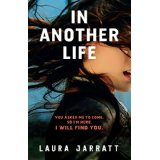 Find Laura on Twitter @LauraJarratt and at http://www.laurajarratt.com/. By Any Other Name: I picked up the book and thumbed through the pages. Names in alphabetical order, names with meanings, names I knew, names I’d never heard of. How to pick? Nothing that would stand out, nothing that would link me to the past – those were the instructions. The past. As if everything that had gone before this moment was buried already. Holly is fifteen years old, but she’s only been “Holly” for a matter of months. Because of something that happened, she and her family have had to enter witness protection and have all assumed new identities. All, that is, except her sister Katie, who is autistic. Starting at a new school mid-term is hard enough at the best of times, and Holly has no clue who she is any more. Lonely and angry, she reaches out to friends – new and old. But one wrong move will put all their lives in danger. 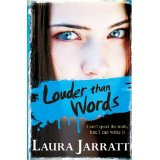 Louder Than Words: Rafi idolises her seventeen-year-old brother, who is popular, generous and a borderline genius. Ever protective, Silas always includes her when he’s with his friends, so Rafi gets to hear all sorts of things that younger sisters wouldn’t normally be a part of. Like the time Silas hacks a gaming site to help out his friend Josie, who has been trashed by her ex. With Josie, Rafi finds herself with a proper friend for the first time in her life. As they grow closer, she realises that she wants to find a way back into the world – she wants to learn to speak again. But Silas has found a new interest too – and it’s taking him away from everything that was once important to him. Can Rafi find the words to save her brother?